Though more and more seniors are becoming internet savvy, there are still many who are not. Well meaning children hook their grandparents or parents onto FaceBook, email , even Pinterest without considering the consequence. The truth is, most seniors are frustrated by technology and their personal skills are hindered by age. Stiff joints, impaired eyesight and failing hearing cause more issues than they can manage, let alone adding Windows 8. This lack of ability makes them an easy target for scam artists. Jeff bought his grandmother a ipad. He subscribed her to the local internet provider, set up her email, opened a FaceBook account, then quickly punched, slid and tapped his way through an explanation. Grandmother was touched Jeff had take such time and effort to help her “connect” with family across the country, but when he left she’d forgotten how to unlock the ipad. Jeff had written down a few vague instructions but nothing made sense to his grandmother. A friend stopped by his grandmother’s house one day and showed her how to “open” the email then left. Feeling confident, Jeff’s grandmother began to open email. One email was addressed from her bank. The bank logo was even on the email. Inside was a request for a verification of her Social Security number as well as the bank account number. It looked official and before long, Jeff’s grandmother had entered her Social Security number and her banking information. Little did she know it was a scam. Within hours her bank account was drained and her identity had been stolen. Jeff’s grandmother lost all her savings and now had thousands of dollars of debt. So how do we protect our seniors from scams? Technology is wonderful for most of us, but there is a great chasm that separates it from our seniors. Consider the dangers before allowing family members to connect an elderly loved one to the internet. *Stiff joints prevent seniors from sometimes pressing the small turn-on switches for tablets or even computers. *Hearing loss prevents seniors for communicating well on cell phones and weakened eyesight makes reading a small cell phone screen difficult. Keep a landline and portable phone intact. Technology is not the only place seniors can be deceived. Convincing phone calls can sound like important banking officials or even city officials who can drive aging parents into contracts with paving companies, banks or even home repairs that are unwarranted and once paid, are never completed. How do you protect your aging parent? *Devise a password only family members know. Make it obscure such as red couch or Westinghouse refrigerator. Write that password on a sheet of paper and tape it inside a cabinet that is frequently used by your senior. If someone calls trying to get money, sell a service or confuse your aging parent they can simply ask, “What is my password?” If the right answer is there, chances are it’s a safe family member. Otherwise, hang up. *Install an intercom at the door. This prevents seniors from opening their door to strangers who might try to work their way into the home and prevents them from being “cased” by shifty individuals. *Secure a list of individuals who can help with certain decisions i.e home repairs, major purchases who can serve as attendees or overseers. *Cut credit card limits to $500. Limits can easily be lifted if necessary. *Close duplicate credit cards. i.e keep one Mastercard and Visa and close local department store accounts. *Pay bills with automatic withdrawal. 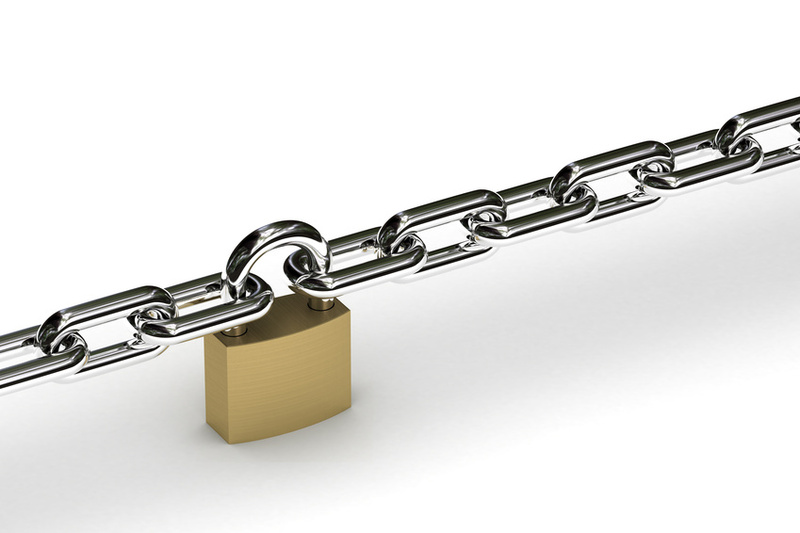 This prevents papers bills from hitting mailboxes and lessens the opportunity for personal information to be stolen. *If there are no family members able to monitor bill payments or large purchase amounts, encourage seniors to sign up with trust advisors through their bank who can manage and watch their accounts. *Avoid private duty caregivers without having done extensive background checks. Going through a company such as Comfort Keepers allows the security of knowing caregivers are safe . *Secure a Personal Emergency System (PERS unit). These buttons can be worn by the senior and provide instant help in the event of emergency. *Install a sturdy and lockable door instead of a screen door on elders homes. This allows them to open their primary door but still have a locked door between them and the person outside. *Cover garage door windows and low level windows with window films that allow seniors to see out but intruders cannot see in. This is an inexpensive item available at most home improvement stores. *If possible, install electric garage door openers with private rotating signal remotes to insure safety. *Purchase a paper shredder so “junk mail” from banks and credit card companies can be easily destroyed. *Contact credit card companies and remove seniors from their call list. One last detail. In the event of a death of a senior parent, carefully consider the safety of the surviving parent. When preparing the obituary, don’t list “preceded in death by or survived by.” As much as we want friends and relatives to know the family, scammers search diligently through obituaries looking for any information they can use. Do not place a wreath on the door, or allow the funeral home to place street markers that say, “Slow Funeral”. This is an open invitation to scammers and burglars. *Have food deliveries made by one individual as opposed to a number of persons. The less attention drawn toward the surviving parent the safer they are. *Be sure someone stays at the home when the family is making arrangements or attending the funeral. Have someone who can answer the phone over allowing an answering machine. This shows there are people in the home rather than an empty house. It’s a sad state of affairs when children have to go to these extremes to protect aging parents. However, this is the world we live in today. Thieves think nothing of the age or situation an individual may be in. Their only desire is to obtain as much cash as quickly as possible. Take time to insure these steps and protect your aging parents from harm and scams that can not only destroy them financially, but also bring physical harm. Our world pushes us into an extensive busyiness, that in turn, forces us to allow the valuable moments found in our aging parents to slip past. We are their legacy, their contribution to the world. Take time and enjoy the richness found in your parents and grandparents. If you are fortunate enough to still have great grandparents, then do not let the opportunity pass to know the little things about them. Your life will be blessed and your appreciation for them and their struggles will become real. In the midst of the dusty photos, you’ll find the deep love and sacrifice our seniors have made so our lives are better. Our parents and grandparents deserve the best. Care for them as such. 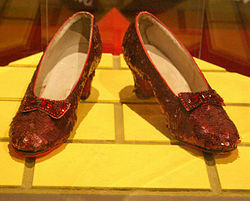 When Dorothy clicked her ruby slipper heels together and coined the phrase, “There’s no place like home. There’s no place like home,” I doubt she realized its implications. Especially when it concerned aging parents. I try my best to remember my grandmother and her stubbornness to allow her children to care for her in any other way besides her own. She begrudgingly allowed her eldest daughter to bring her to “visit” a few days a week, but Grandma’s intention was to be at home. There’s no place like home. Despite the hardships and frustration Grandma’s children faced while trying to care for her, she had a plan and no one would veer her from it. She’d die at home…her home. In her bed. With her blankets and pillows. The fact is, this eldercare issue rings true with well over half of all aging parents and their baby boomer caregivers. According to the American Association of Retired Persons (AARP), “nearly 90% of seniors want to stay in their homes as they age…” Today’s terminology refers to this as “aging in place.” The AARP continues by stating, “only a few express a preference for moving to a facility (9%) or for moving to a relative’s home (4%). There’s no place like home. This desire isn’t that unreasonable. Who of us, when given a choice, would choose any place other than our home to live out our life? Our aging seniors have earned the right to choose their place but what happens when health dictates the future? According to the American Medical Association, statistics prove aging parents thrive in their own homes. Even those who are terminally ill, respond better in their home environment, with friends, family and familiarity surrounding them. It may not be convenient for caregiver children, but the statistics are what they are. Peace, comfort and a sense of belonging are life-sustaining combinations. Finances will guide many seniors into situations they do not appreciate but with budgeting and planning family members can extend their aging parent’s stay in their own homes. Seniors are high fall risks due to reduced eyesight, poor balance and reduced flexibility and this is the greatest reason they are forced into facility care. Simple changes around the house can make a huge difference. *Add non-slip floor surfaces in kitchens and bathrooms where splashed water can be a hazard. *Remove throw rugs and clear away unnecessary furniture to allow widened walkways without trip hazards. *Add bathroom aids (grab bars) for stability. *Provide a PERS unit (personal emergency alert button ). These are available through hospitals, in-home non medical care companies and private agencies. The cost is small and the security is high. *Provide a caregiver from an in-home caregiver company who can assist in the care of seniors. By starting with these simple and relatively inexpensive steps, children can extend their parents stay in their personal homes. Seniors will be happier, will eat better, and fair better in their personal home environment. As seniors abilities deteriorate, more extensive modifications can be made to gently and gradually move them away from their homes and into the homes of relatives or assisted living. There’s no place like home. Dorothy got it right. Start now helping make that dream a reality for seniors and you’ll see as time progresses transition will be simpler. There is no greater gift than parenthood. Just to hold our newborn infants close brings a whole new meaning to life. In our youth we long to have a family and once that gift arrives the future years are spent nurturing, growing and developing these children. Children depend on their parents for moral support, guidance and even financial aid at times. There is a certain comfort and peace in knowing our parents are always a phone call away. For parents – the gift of a strong bond with their children is everlasting. Then the tide turns. The waters that once rushed forward into the lives of children now recede, and the ability of the parent lessens; not from desire but from physical ailments. Aging. Dementia. Frailness. The realization of aging attacks and children suddenly understand parents are unable to do the things they used to do. It’s a hard realization, but if it’s hard for the children, imagine how difficult it is for the aging parent. Children will see definite changes in the attitude and disposition of their parents and it is important they understand the steps of acceptance for their parents. Anger – Anger is one of the first stages of acceptance seniors experience. A tough skin is important. Learning to understand when aging parents lash out, it’s not personal, even when harsh words are hurtful. Nothing can describe the frustration of being unable to do the simplest tasks. Walking, buttoning a shirt, brushing teeth. The simple tasks of daily living begin to slip through their fingers. It’s enough to grasp being over 70 but when fingers won’t bend, legs won’t lift, climbing stairs becomes slow and painful, frustration and anger set in. Aging parents lash out as they fight for the one thing held most precious to us all – independence. 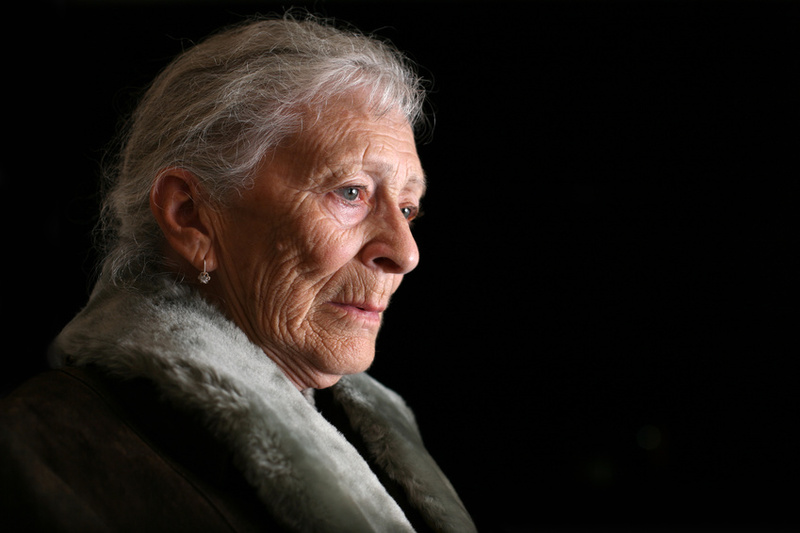 Depression – Depression is not uncommon for seniors. It’s an adjustment – slowing down, learning to let others help. Watch for signs of depression and attend to them immediately. A severe decrease in appetite, less conversation, excessive sleeping… are all signs of depression. Depression is not always an easy fix but seeking the help of the primary care physician as well as additional check-up calls and visits from friends and family help. Most importantly, encourage your parent to do what they are able. It may take longer to walk around the block, but walking is good. Always check with their physician as to what can be done or not. Helplessness – There is a sense of helplessness attached to releasing physical care to a child. The ability to be johnny-on-the-spot when a child is in need fades due to illness or frailty. 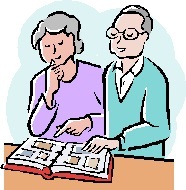 Work with aging parents to maintain their usefulness. Make them a viable and important part of the family. Seek outside caregivers through reputable companies such as Comfort Keepers, to help seniors maintain a good quality of activity and a sense of being needed. The steps into aging acceptance can be rocky at best, but with patience and love aging parents will come into compliance with reality. Above all else, continue to be an active part of your parent’s lives – develop wonderful lasting memories for the future.